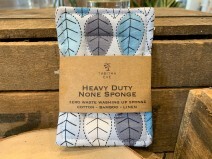 Reusable, heavy duty washing up sponge. 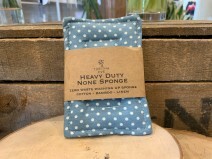 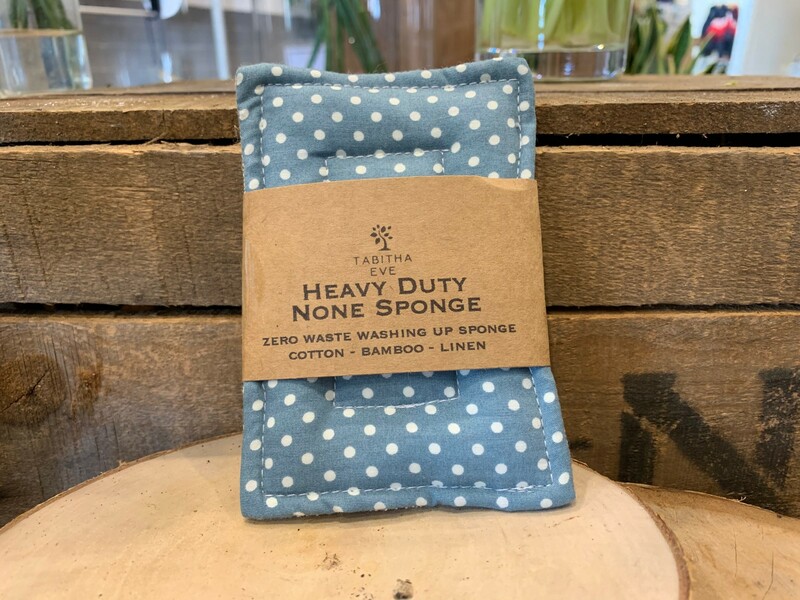 The None Sponges are plastic free alternatives to disposable dish sponges, made from just cotton, hessian, and bamboo. 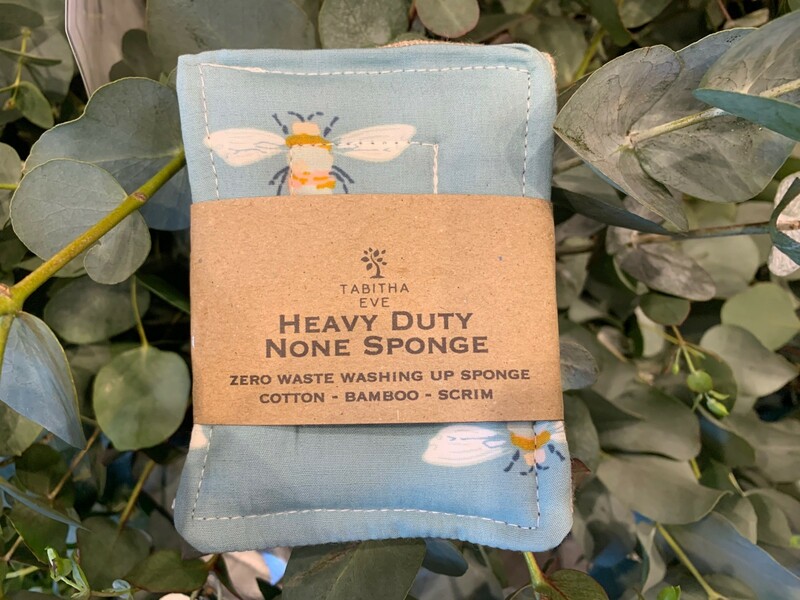 The cotton and tough hessian layers sandwich the quilted naturally antibacterial and highly absorbent bamboo core. 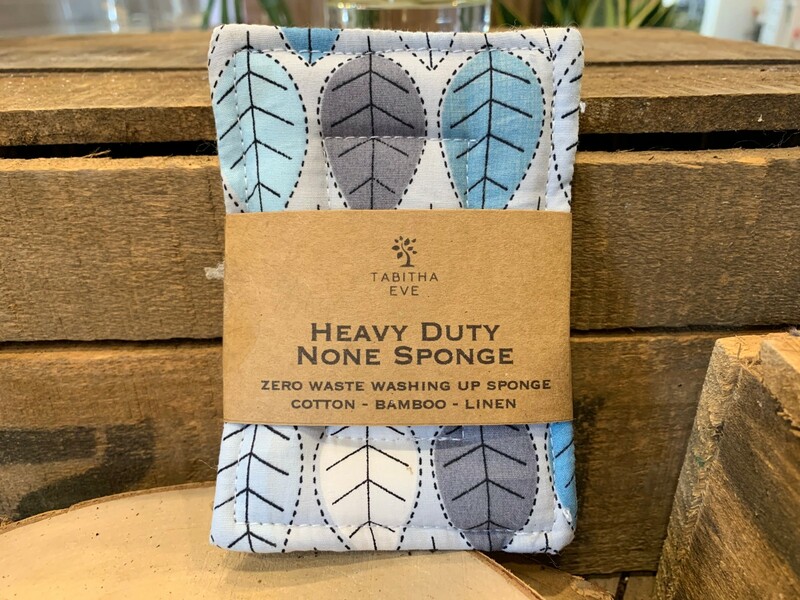 Your None Sponge should last you very well if cared for properly but should you ever feel like your None Sponge is ready for the bin, fear not! It is fully compostable, just cut up (carefully) and add to your compost heap.